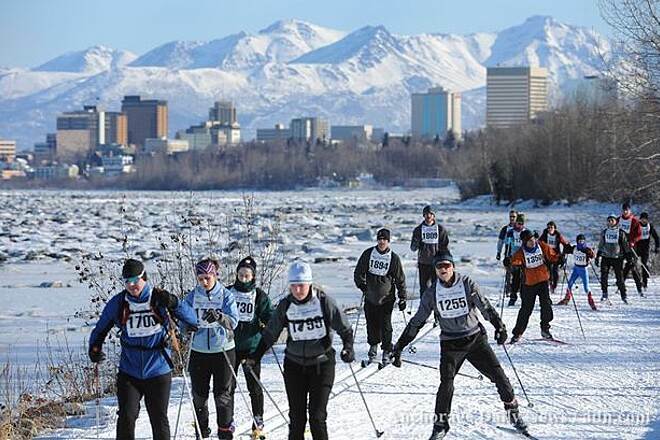 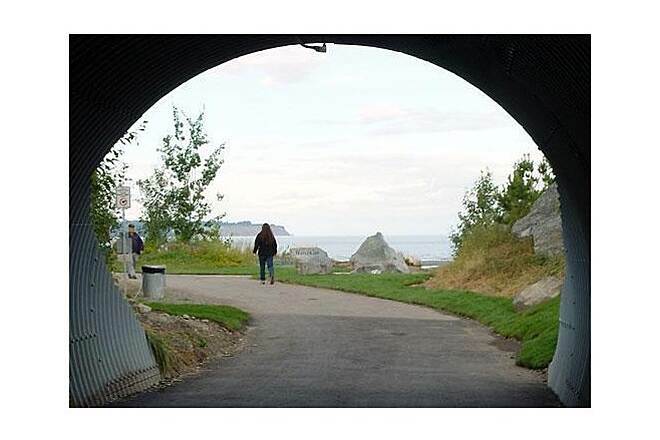 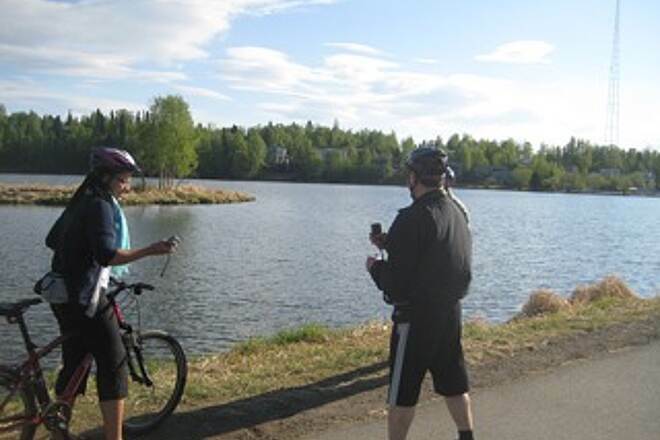 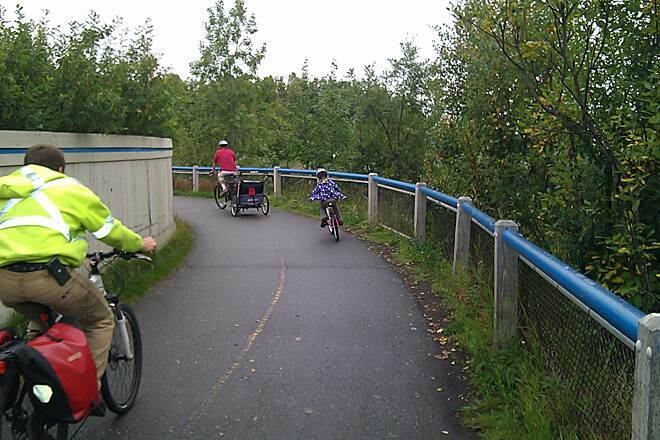 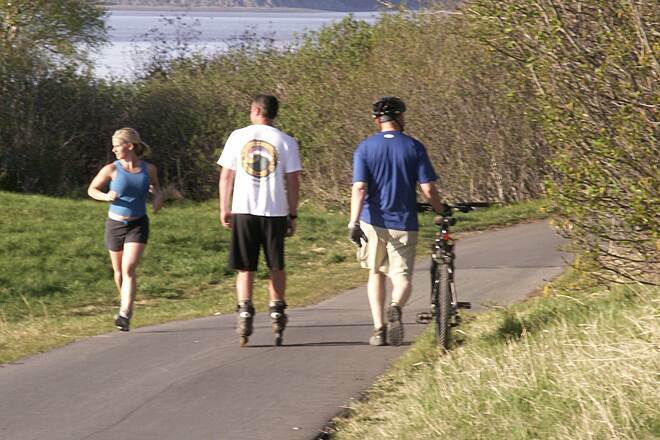 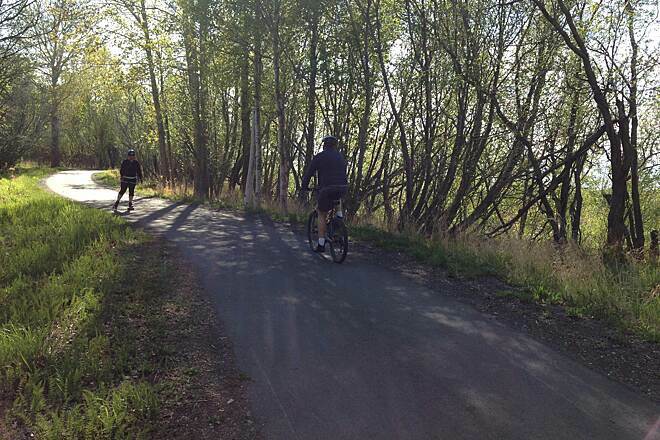 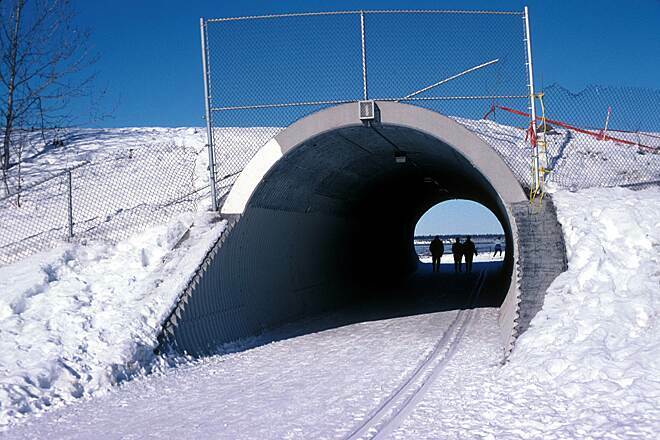 The Tony Knowles Coastal Trail follows the coastline of Anchorage along Knik Arm and Cook Inlet. 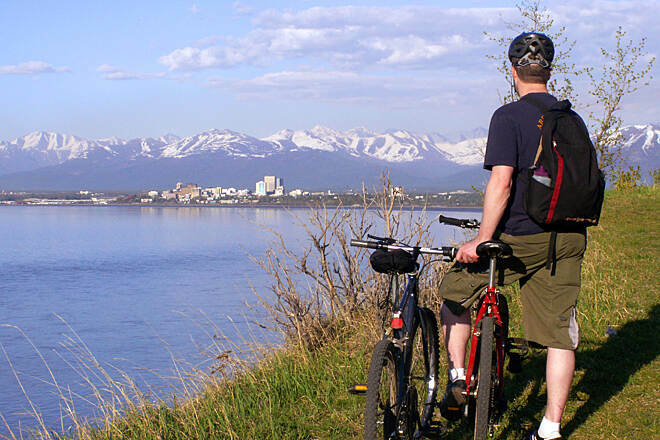 Many rest areas provide scenic views of Anchorage, the surrounding mountain ranges, and tidal inlets. 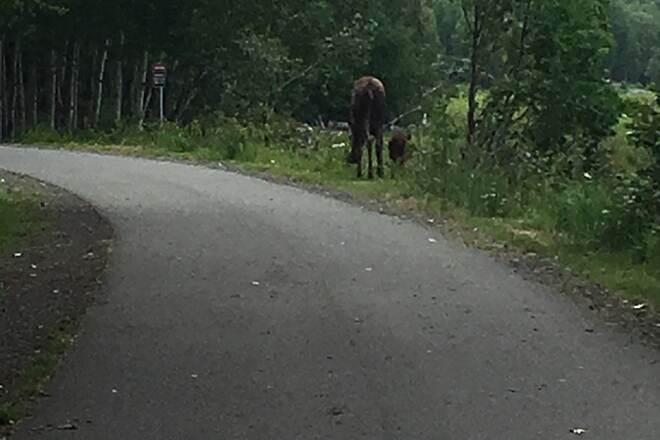 You're also likely to encounter wildlife along the way, especially moose. 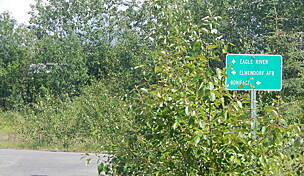 The Alaska Railroad tracks parallel the trail for about 1 mile (a configuration known as rail-with-trail), just past the northern trailhead, and passenger and freight trains are a common sight. 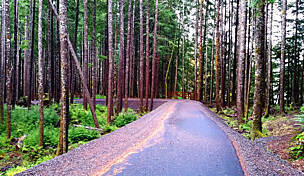 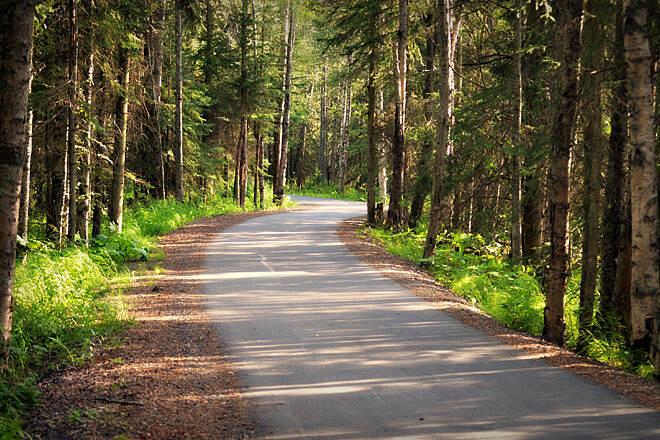 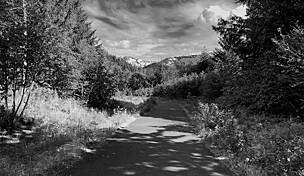 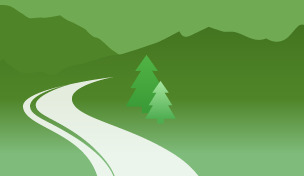 The entire trail is paved and suitable for biking, running, walking and skiing. 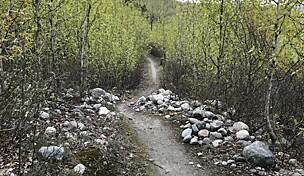 From downtown Anchorage, the northern half of the trail offers a relatively level grade. 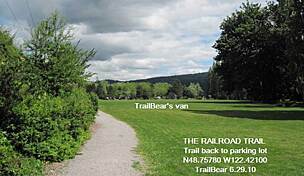 Toward the southern end of the trail, travelers will find three notable hills as they approach Earthquake Park, Point Woronzof and Kincaid Park. 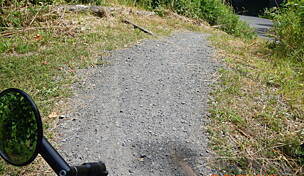 The trail is marked by mileposts every 0.5 mile with the exception of the first 1+ miles. 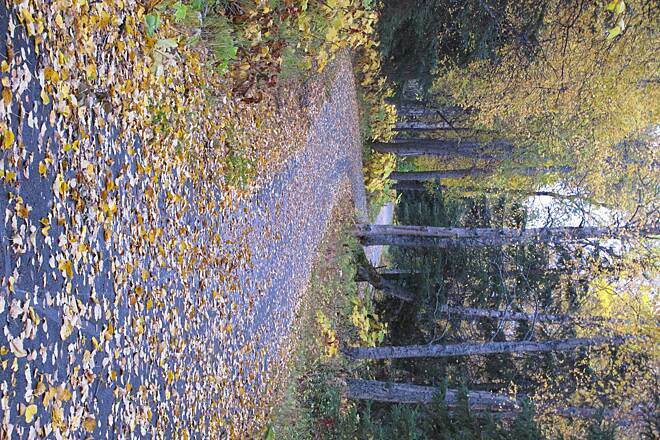 At the northern end of the Coastal Trail, the Ship Creek Trail is mere blocks away, beginning near the Alaska Railroad depot. 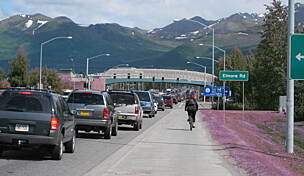 Visitors can hop on a tourist train to ride north to famed Denali National Park and onward to Fairbanks, or head south to Seward, a popular port for cruise ships. 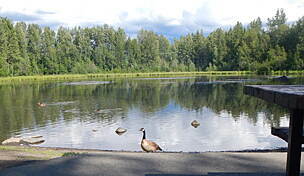 The Coastal Trail intersects the Lanie Fleischer Chester Creek Trail at Westchester Lagoon, a little over 1 mile from the former's northern trailhead. 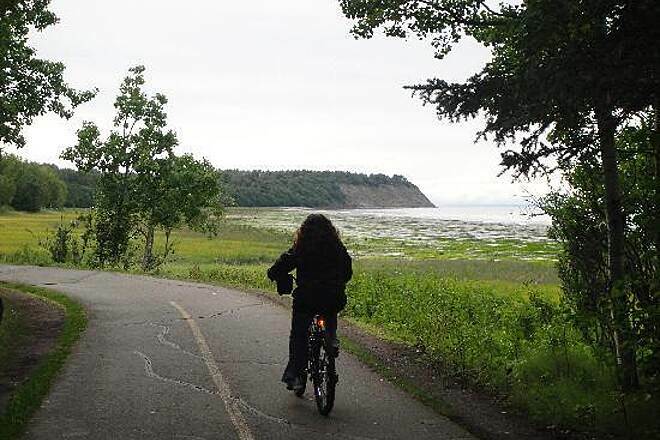 The trail skirts the lush shoreline of the lagoon, which offers an unparalleled opportunity for birdwatching, including shorebirds, waterfowl and even eagles. 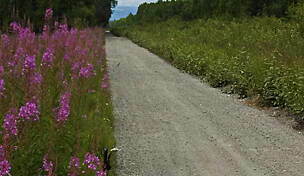 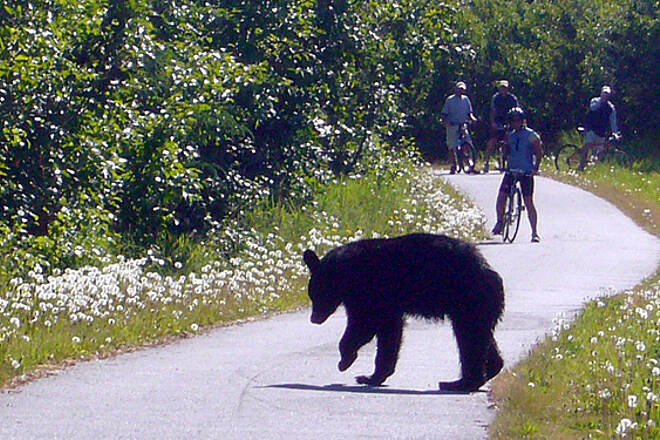 Wildlife viewing is most abundant along the southern half of the trail, where the trail departs the more populated areas and is surrounded by birch trees and evergreens. 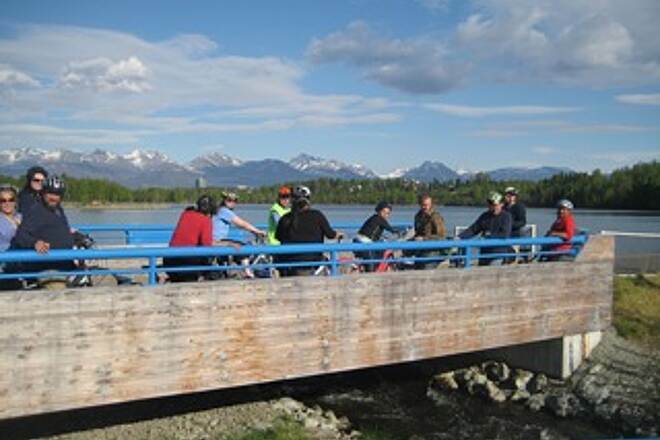 The trail skirts Anchorage Airport between mileposts 3.5 and 7.5, and trailside benches provide the opportunity to watch the planes come and go. 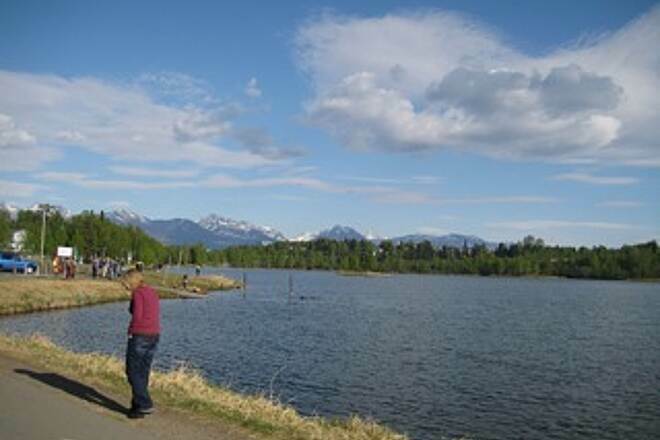 The southern terminus of the trail is in Kincaid Park, where a plethora of recreational amenities are available, including soccer fields, a disc golf course, a fishing lake and an archery range. 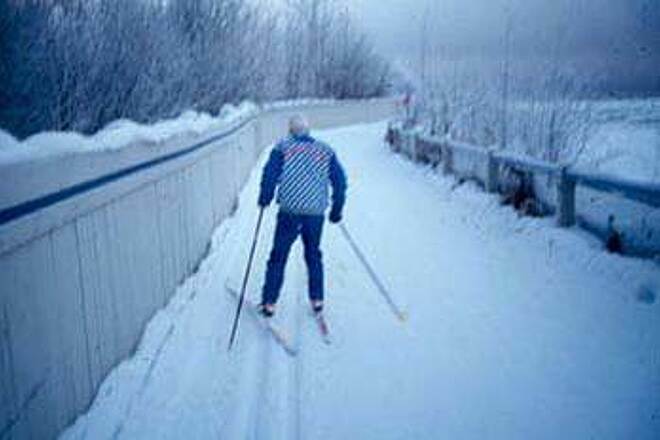 Trails for mountain biking, hiking and cross-country skiing crisscross the 1,400-acre park, and its chalet houses a Nordic ski center.